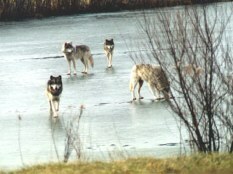 THIS IS THE MAIN PACK. 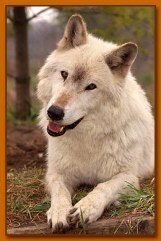 I ALSO SPONSOR A WOLF FROM WOLF PARK. 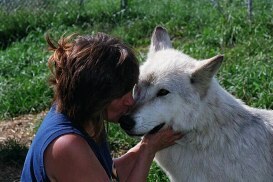 HIS NAME IS CHETAN. 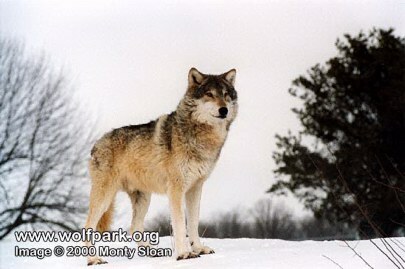 IN SEPTEMBER OF 2001 MY FAMILY AND I TOOK A TRIP TO WOLF PARK IN BATTLE GROUND, INDIANA SO I COULD MEET CHETAN. 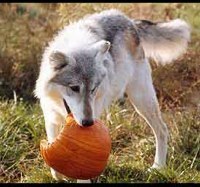 THAT'S ONE OF THE BENEFITS OF SPONSORING A WOLF AT WOLF PARK. 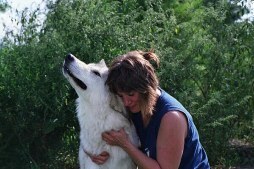 IT WAS ALSO A DREAM COME TRUE FOR ME. 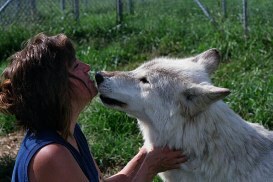 I NOT ONLY MET CHETAN, I MET 5 OTHER WOLVES THAT LIVE THERE TOO. 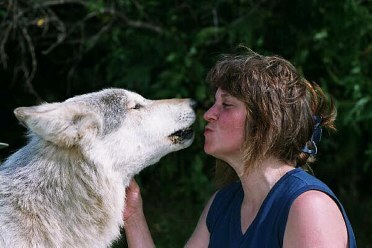 ON THIS PAGE IS MY PICTURES OF ME AND THE WOLF PARK WOLVES. 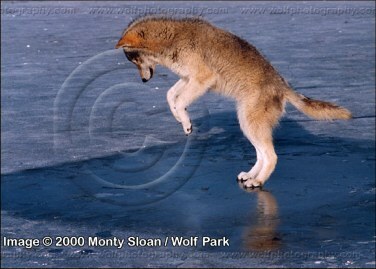 MONTY SLOAN (THE PHOTOGRAPHER AT THE PARK) TOOK THESE PICTURES, AND DID A WONDERFUL JOB DON'T YA THINK! 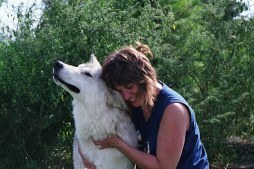 THERE WILL BE OTHER PICTURES ON THIS PAGE OF THE RESIDENT WOLVES THAT MONTY TOOK. 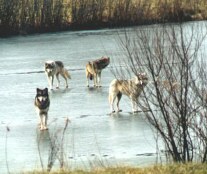 THIS BACKGROUND IS A PICTURE OF SOME OF THE WOLVES ENCLOSURE. 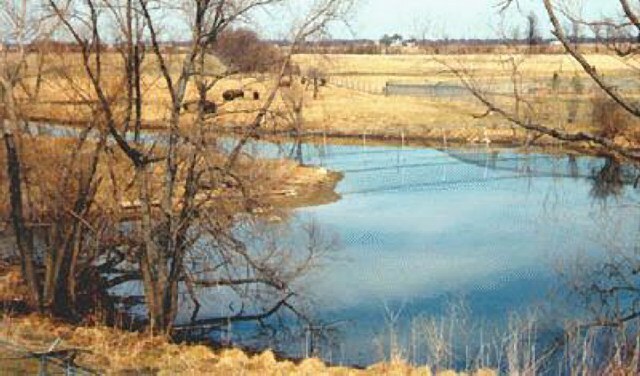 THEY LIVE IN A 7 ACRE ENCLOSURE WITH A 3 ACRE POND IN THE CENTER.